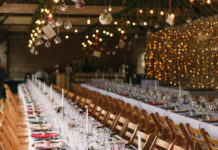 Looking for an alternative to the traditional wedding breakfast? Try these cool new Street Stalls from Kalm Kitchen and really get your guests talking! 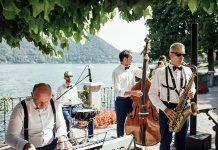 Available for hire throughout London and the South East, they will be delivered, set-up and managed by a member of the team and are suitable for both indoor and outdoor events. Which stall would suit your day? Ideal for a pre-dinner appetizer or post-dinner snack, the delicatessen is bursting with delicious, savoury snacks. 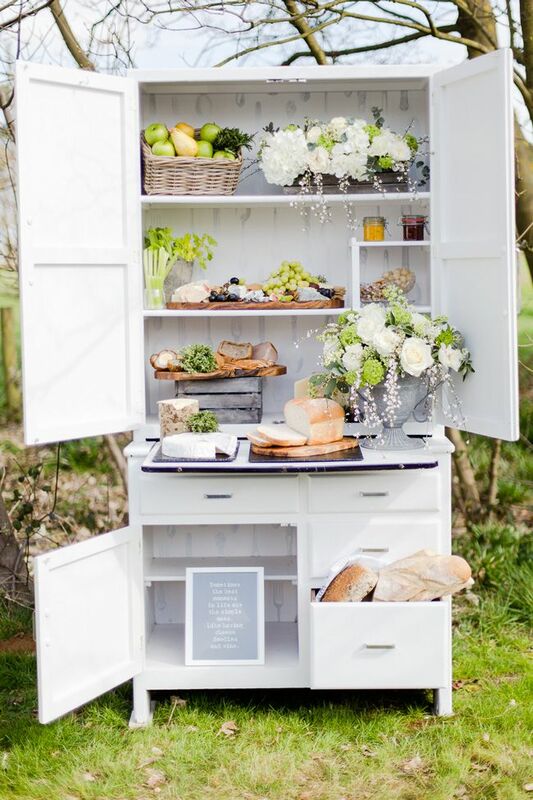 A selection of five cheeses, English cured ham, porkpie, scotch eggs, pickles, fresh rustic breads, wafers, celery, dried fruit and nuts, red and green grapes, dates and figs, crockery and cutlery, all packed within a painted vintage dresser. 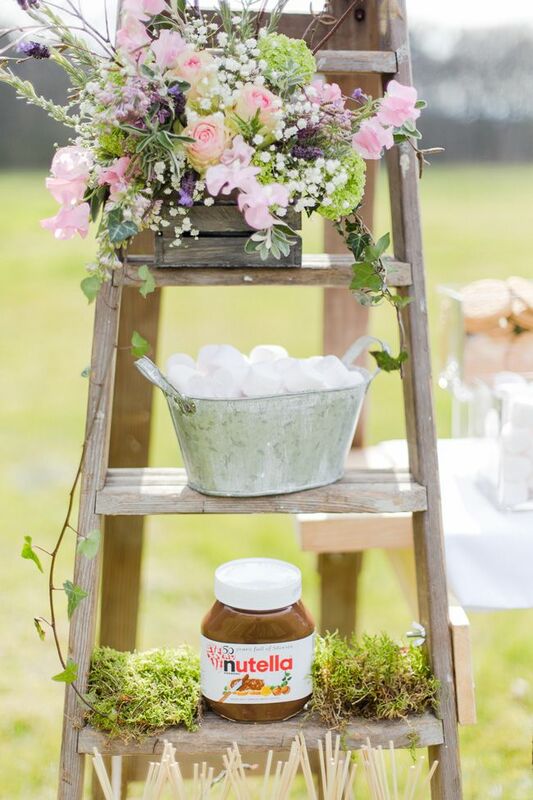 Presented on the signature Kalm Kitchen double vintage ladder display, the S’Mores Stall is the ultimate in gooey marshmallow heaven and the perfect wedding food for your late-night reception. Includes digestives and rich tea biscuits, Nutella, marshmallows, fresh berries, skewers, toasting rack. 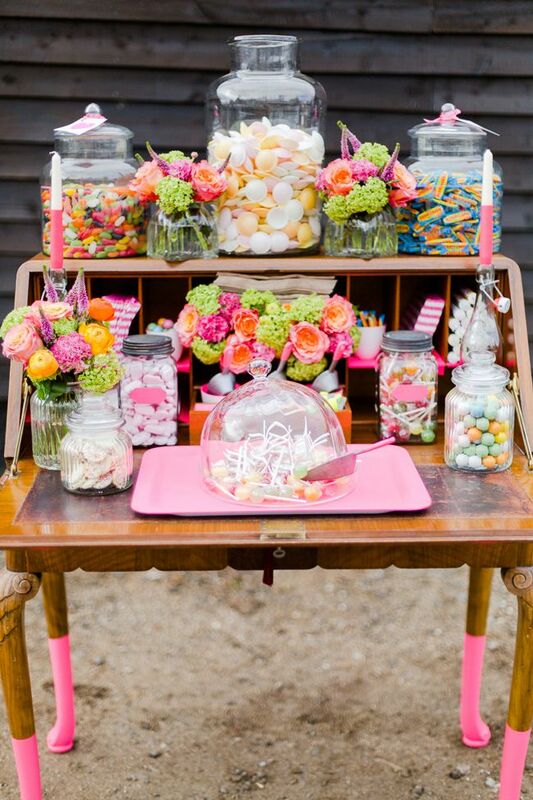 A fabulously fluro candy showcase, the sweetie shop is displayed on a reclaimed vintage bureaux complete with pink socks! A selection of jelly beans, shrimps, white chocolate buttons, lollipops, refreshers, love hearts, flying saucers, bubblegum, neon scoops, pink striped and brown paper bags, neon stickers and ribbon. 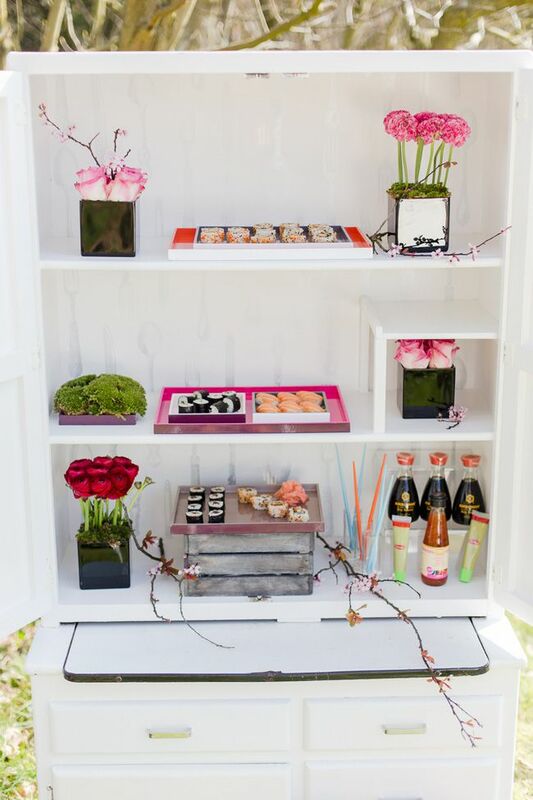 For a healthy yet delicious Asian alternative, the Sushi Stand includes a selection of fresh fish and vegetarian sushi, wasabi, soy sauce and pickled ginger – and comes complete with chopsticks and sushi plates. 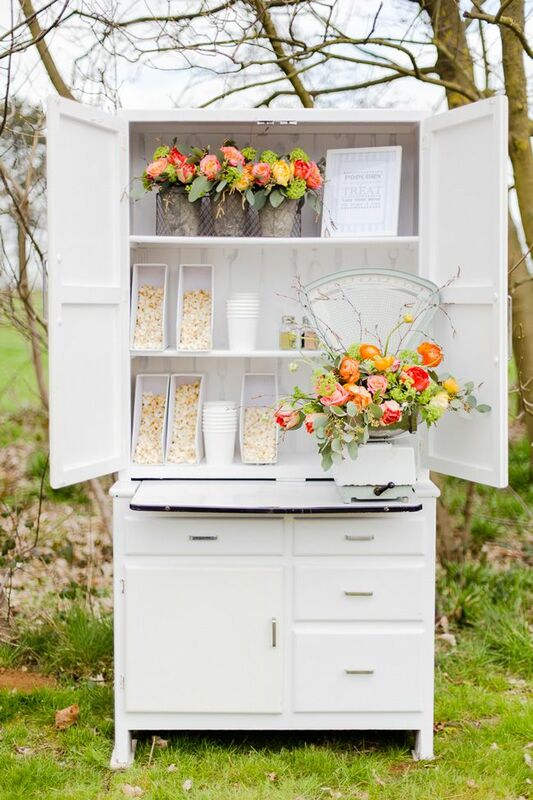 A selection of sweet and savoury popcorn, additional flavour shakers, popcorn sign, scoops, white pots and grey striped bags. Presented on a pretty painted dresser with vintage weighing scales. The perfect post-party hangover cure, the brunch banquet is a Continental breakfast in a cupboard. 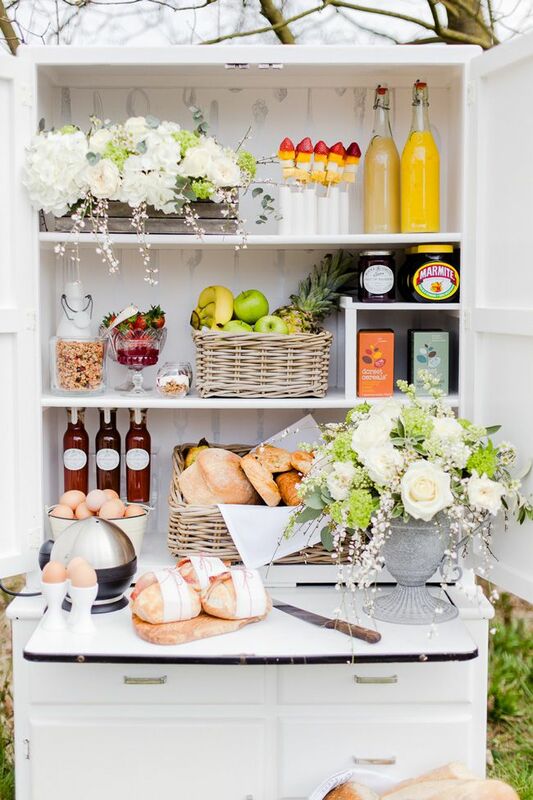 Includes cereal, fresh rustic breads, Marmite, jams, boiled eggs, bacon butties, condiments, fresh fruit skewers, selection of pastries, Greek yoghurt and compote with granola and honey topping, freshly squeezed juice and smoothies. Need more wedding food inspiration? Here are nine quirky ideas you might not have thought of yet, including Scotch Eggs, Welsh Cakes and more! 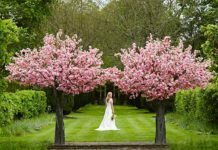 Previous articleLouise and Dougie had a gorgeous country wedding with a pink Champagne colour scheme!